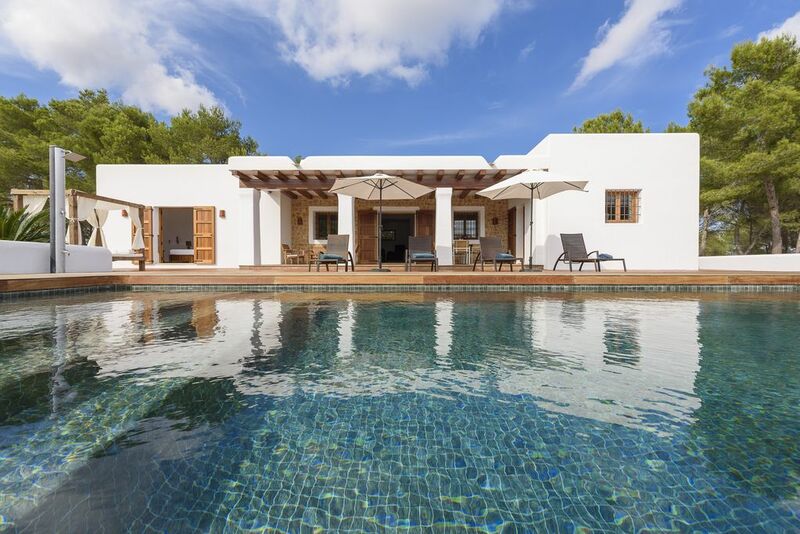 Ibizan traditionnelle, moderne et décorée avec goût, situé près du village de Santa Gertrudis dans une zone de la maison 15 000 m2. Une route de 500 mètres sépare la route de la belle villa avec une belle vue sur la montagne. grand -cuisine, qui est séparée de la salle de séjour avec porte runner, cuisine entièrement équipée (lave-vaisselle, réfrigérateur, congélateur, four, micro-ondes, grille-pain, presse-agrumes, mixeur, etc.). La machine à laver est dans un salon séparé, avec un accès au parking. La maison dispose d'une connexion Wi-Fi, climatisation, coffre, audio, barbecue nouvellement construit. Just perfect for our girls holiday. The villa was fabulous, very clean and in perfect condition with a large kitchen and BBQ area for cooking big lunches and dinners. Monica and Lucas were extremely helpful with any questions we had and kindly met us at the villa when we arrived late at night. The pool and outdoor space was great, with lovely views. Great location for all the places we wanted to visit in Ibiza. The villa was exactly what we were looking for - we hope to visit again! The Villa was gorgeous and perfect for my husband, 13 year old daughter, and myeslf. We had an absolutely wonderful stay. The property is very private and has been designed to an extremely high standard. The outdoor area is beautiful and we particularly loved the wood/charcoal burning bbq next to the pool. The owner was extremely helpful and present if needed. We loved the short drive to a lovely little town, where there is great shopping and good restaurants. I would highly recommend Villa Dalt S'Era and will definitely be returning some day soon.